The state of Maryland presents several arguments questioning the legitimacy of Trump's choice to replace Jeff Sessions. 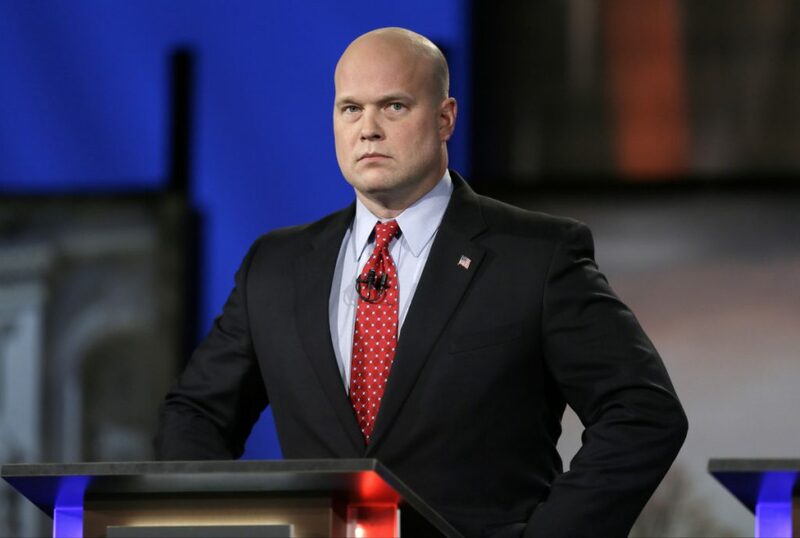 WASHINGTON – Maryland is challenging the appointment of Matthew Whitaker as the new U.S. acting attorney general, arguing that President Trump sidestepped the Constitution and the Justice Department’s own succession plan by elevating Whitaker to the top job. It comes as Democrats call on Whitaker to recuse himself from overseeing the special counsel’s Russia investigation because of critical comments he has made on the probe and amid concerns over his views on the scope of judicial authority. Beyond that, the lawyers say, the Constitution requires the duties of the attorney general to be carried out only by someone with Senate confirmation. The state argues that Congress always intended for the attorney general to be confirmed by the Senate, given the national security and criminal justice powers of the position, including the authority to control an investigation into the president. Without a set chain of command, according to the filing, a president could pick and remove a series of attorneys general until he got his way. A Justice Department spokeswoman had no immediate comment, though the department was expected to release as soon as Tuesday an opinion from its Office of Legal Counsel defending the legitimacy of Whitaker’s appointment. The state’s lawyers say that in addition to their concerns over the line of succession, Whitaker has “expressed idiosyncratic views that are inconsistent with longstanding Department of Justice policy.” They cite his criticism of the landmark Supreme Court opinion Marbury v. Madison, which ensured that courts had authority to strike down laws they considered unconstitutional.